The Yale Alumni Association looks forward to connecting with you, whether on campus, by phone or email, or when we travel to your local area. Please visit our Help Center to find answers to your important questions or send us an email here. NOTE: for assistance with the online alumni directory or other related services, please use our online services help form. For help with YaleMail, our free email service for alumni, please use this form instead. Please visit our staff page to find the right person for your question. Our fax number is (203) 432-0587. 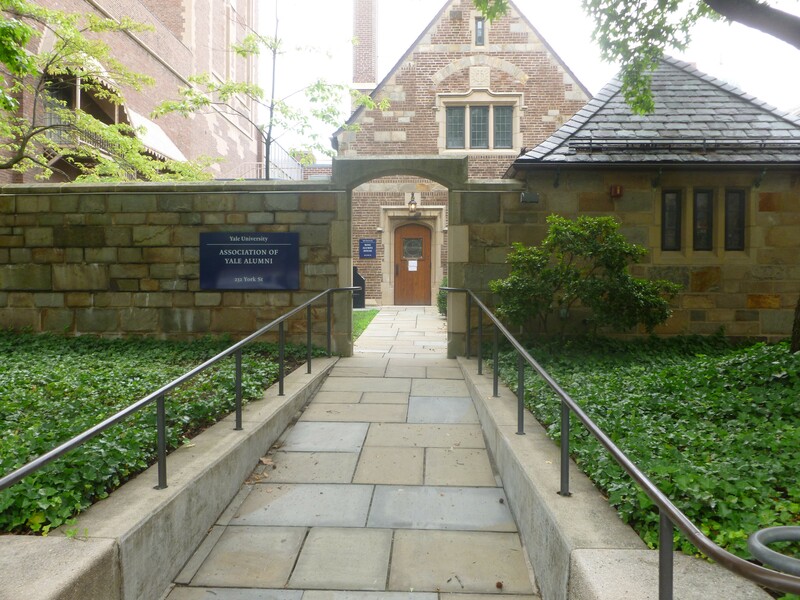 The Yale Alumni Association welcomes visitors during business hours. Our staff is located in two buildings: Rose Alumni House and a second location at 1201 Chapel Street. Rose Alumni House is named for Frederick P. Rose '44, the association's first chair and a generous supporter of alumni activities at Yale. It shares architectural features of some other Yale campus buildings. Rose Alumni House is open during business hours on weekdays, as well as during alumni weekend events. Several meeting spaces are available to alumni through prior arrangement. 1201 Chapel, a former bed and breakfast, serves as additional office space for association staff. Several meetings rooms are available to alumni groups through prior arrangement.